I used to be obsessed with the accuracy on my mechanical wristwatches. I kept records and measured time and it bothered me if a watch as plus or minus more than a few seconds per day, until I came to the realization that none of them would ever be as accurate as any of the solar-powered atomic watches I had. 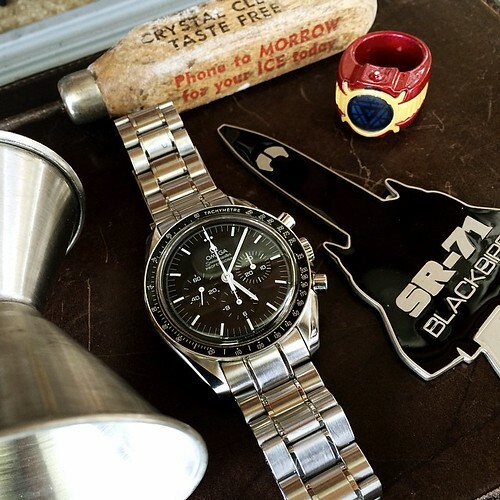 That's when I accepted that every watch had a specific purpose and role in my collection and that my everyday survival did not depend on up-to-the-second accuracy. The solar atomics are soulless robots that serve well, by my mechanical timepieces are living machines given life through movement. The time I spend winding and adjusting and listening to each one is a little night time ritual that gives me much pleasure.